Turkey is now trying to disrupt the Syrian Kurds’ control of Afrin. It is not the first time Turkey has intervened: In August 2016, it launched a major offensive to clear ISIS remnants from their border stronghold, and to roll back gains by Syrian Kurdish forces. Mr. Erdogan fears that the Syrian Kurds would use control of much of northern Syria to support the outlawed Kurdistan Workers’ Party, also known as the P.K.K., a separatist group that Turkey, the United States and the European Union all consider a terrorist group. Kurdish fighters from the People’s Protection Units firing on a drone operated by Islamic State militants in Raqqa, Syria, last year. Here’s where things get complicated. The United States has armed a Syrian Kurdish militia, the People’s Protection Units, that has played a crucial role in battling ISIS. As the fight against ISIS nears an end, Turkey fears that the militia will turn its attention toward helping its Kurdish allies in Turkey. That fear is not entirely unjustified, according to Renad Mansour, a scholar at Chatham House in London, who points out that Abdullah Ocalan, the Kurdistan Workers’ Party leader imprisoned since 1999, was based in Kurdish Syria for nearly two decades. How did the Kurds end up in the middle of all this? The Kurds have been one of the United States’ most effective allies in the fight against ISIS, and the implosion of authority in Syria in 2011, and in Iraq in 2003, revived the aspirations of a people often described as the world’s largest stateless nation. ISIS, a mostly Sunni movement, considers Kurds and Shiites apostates and heretics. The Kurds have also recruited, trained and promoted women as fighters, a rare sight in the Middle East. The Kurds make up a substantial minority in Iraq, Iran, Syria and Turkey, and while some share aspirations of an independent Kurdish nation, that aspiration is far from universal. 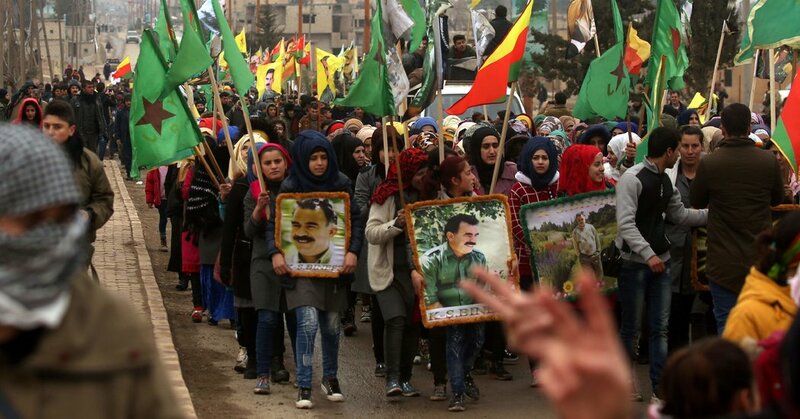 In particular, the leadership of the largely autonomous Kurdish region in Iraq, has close economic ties to Turkey and is skeptical of the Syrian Kurds. Syrian Democratic Forces soldiers resting before returning to the front line in Raqqa last year. Partly to avoid the appearance of siding too closely with the Kurds, the United States helped organize a multiethnic force, the Syrian Democratic Forces, in 2015 to help lead the fight against ISIS. “We knew this day would come, when ISIS would be defeated and the U.S. would have to decide what to do: stop supporting the S.D.F., or continue supporting them,” Mr. Gunter said. Jordi Tejel, a historian at the University of Neuchâtel in Switzerland, said that Secretary of State Rex W. Tillerson’s announcement last week that the United States would support a new, 30,000-strong, Kurdish-led border force in northeastern Syria helped precipitate the Turkish attack. It raised fears across the region that the United States was trying to cement an autonomous Kurdish enclave. Is this bad for the United States? Yes, but it’s partly Washington’s fault for pursuing an anti-ISIS strategy that set up the Turkish-Kurdish time bomb that is now going off. Nikolaos van Dam, a former Dutch ambassador to Iraq and a scholar of the Middle East, said that the Trump administration was supporting the Syrian Kurds “against the explicit wishes of Turkey” because it wanted to keep a foothold in Syria after ISIS collapses. But he warned that this approach was unlikely to succeed if Mr. Assad stayed in power. The conflict now risks pitting former allies against each other: The Free Syrian Army, a group of American-backed moderate rebels fighting Mr. Assad, is now fighting alongside the Turkish Army against the Kurds. In the long run, Mr. Van Dam said, Washington’s alliance with Turkey was more important than its relationship with the Kurds.